We are thrilled to share this good news with all our supporters! The Malaysian authorities have acquitted and dropped all sedition charges against political cartoonist Zulkiflee Anwar "Zunar" Ulhaque and others. Zunar was facing prosecution for his peaceful political activities. 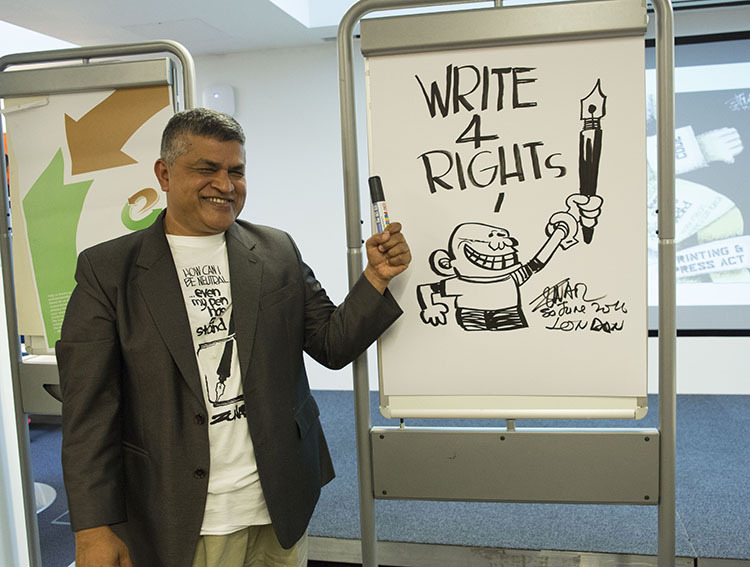 Thank you to all of those who sent messages of solidarity for Zunar as part of Write for Rights 2015. "Zunar, Sivarasa and Surendran have shown great courage in shining a spotlight on injustices such as corruption and abuse of power. Their acquittal is a positive development but the Malaysian authorities must do more to protect people who dare to speak out.” N. Surendran, Rachel Chhoa-Howard, Amnesty International’s Malaysia Researcher.